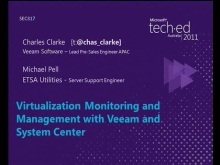 In this session we will explore architectural elements from Veeam that tightly integrate with Microsoft System Centre 2012 to extend its reach into VMware environments, helping provide a single pane of glass for monitoring infrastructure and applications. 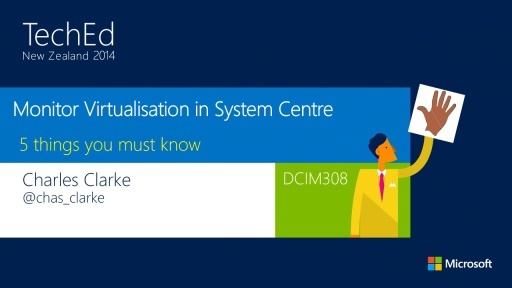 This session will also explore the future of Data Protection in the Virtualized Datacentre, focused on Hyper-V support introduced in Veeam Backup and Replication v6.1. Utilizing Veeam Software’s new Demo Centre of Excellence in Australia we discuss and demonstrate successful image-based backup, replication and recovery for VM workloads running on Microsoft’s Hyper-V. Presenter: Charles Clarke is the Pre-Sales Manager for Veeam Software in the Asia Pacific region. He has over 17 years experience in the IT industry working with a wide range of technologies and organizations around the world.